From African beehive huts to Buckminster Fuller's geodesic buildings, domes are marvels of beauty and invention. Join us for a photo tour of some of the world's most interesting domes, ﻿including sport domes, capitol domes, church domes, ancient classical domes, and other domes in architecture. Ever since Emperor Hadrian added a dome to this Roman Temple, the Pantheon has been an architectural model for Classical building. Hadrian, the same emperor who built the famous wall in northern England, rebuilt the Pantheon in about 126 A.D. after it had been destroyed by fire. The oculus or "eye" at the very top is nearly 30 feet in diameter and to this day is open to Rome's elements. On a rainy day, the wet floor is dried by a series of drains. On a sunny day, a beam of natural light is like a spotlight on the interior details, like the Corinthian columns that complement the exterior portico. What is it about the Taj Mahal that makes it so iconic? The pure white marble? The symmetry of the domes, arches, and minarets? The onion dome that combines architectural styles from different cultures? The Taj Mahal mausoleum, built in 1648 during India's Mughal Dynasty, has one of the most recognizable domes in the world. No wonder it was voted one of the New 7 Wonders of the World. 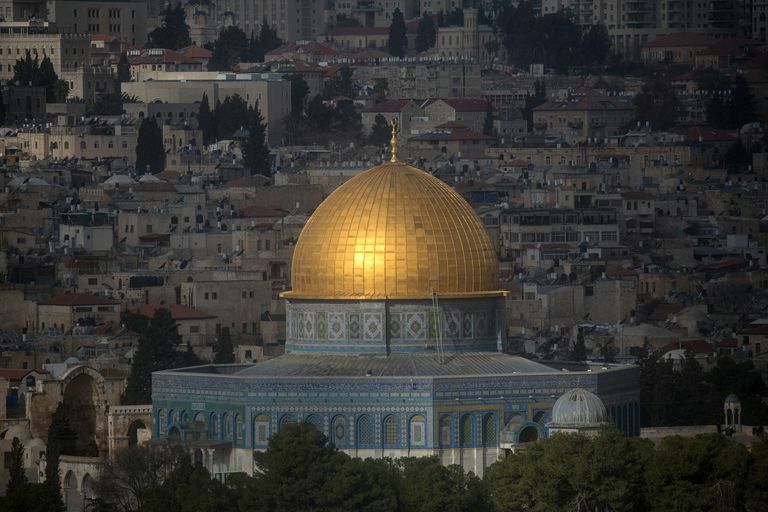 Built in the seventh century, the Dome of the Rock is the oldest surviving example of Islamic architecture and long praised for the breathtaking beauty of its golden dome. But that's on the outside. Inside the dome, mosaics accent the interior spaces sacred to Jews, Christians, and Muslims. The shape of the Millennium Dome comes in part to it being tensile architecture — the dome is constructed of a fiberglass fabric coated with PTFE (e.g., Teflon). Cables attached to the piers help stretch the membrane. London-based architect Richard Rogers designed the odd-looking porcupine-shaped Millennium Dome as a one-year, temporary structure to usher in mankind's next thousand years on December 31, 1999. Still standing, it eventually became the centerpiece for the O2 entertainment district. The cast iron neoclassical dome by Thomas Ustick Walter wasn't added to the Capitol building until the mid-1800s. Today, inside and out, it's an enduring symbol of the United States. British architect Norman Foster transformed the 19th century neo-Renaissance Reichstag building in Berlin, Germany with a high-tech glass dome. Like historic domes of the past, Foster's 1999 dome is highly functional and symbolic, but in new ways. The ramps allow visitors to "ascend symbolically above the heads of their representatives in the chamber." And that whirlwind in the center? Foster calls it a "light sculpture," that "reflects horizon light down into the chamber, while a sun-shield tracks the path of the sun to block solar gain and glare." The Cowboys Stadium in Arlington, Texas is one of the largest domed sports structures in the world. The Louisiana Superdome may be the most celebrated for being a refuge during Hurricane Katrina. The late, great Georgia Dome in Atlanta was tensile strong. But the 1965 Astrodome in Houston was the first mega domed sports venue. After the Great Fire of London in 1666, Sir Christopher Wren designed St. Paul's Cathedral, giving it a high dome based on the architecture of ancient Rome. To many architects, the dome on Santa Maria del Fiore in Florence, Italy is the masterpiece of all domes. Built by local goldsmith Filippo Brunelleschi (1377-1446), the brick dome within a dome solved the puzzle of the hole in the roof of the Florence cathedral. For using techniques of building and engineering that had never been used before in Florence, Brunelleschi has been called the first engineer of the Renaissance.